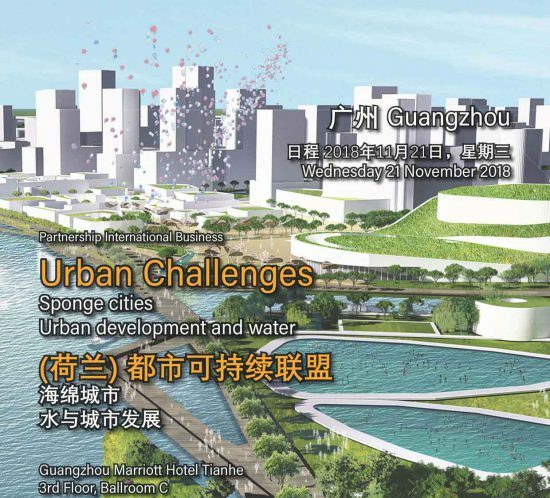 NL Urban Solutions is invited to the event “Knowledge-to-Knowledge: Urban Governance and Stakeholder Participation in Sustainable Urban Renewal” in Sun Yat-sen University in Guangzhou, China on 22nd and 23rd November. 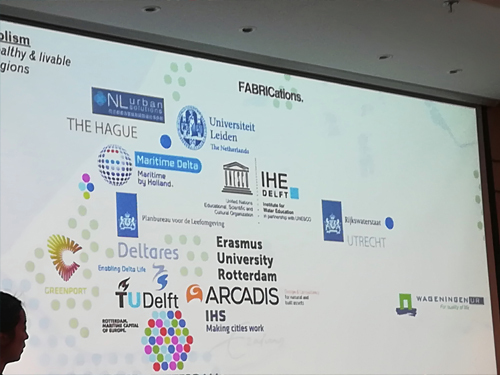 The event is led by Institue for Housing and Urban Development (HIS) and Erasmus University Rotterdam, and cooperated with Sub-deparment of Enviornmental Technology in Wageningen University & Research, Center for Chinese Public Administration Research in Sun Yat-sen University. 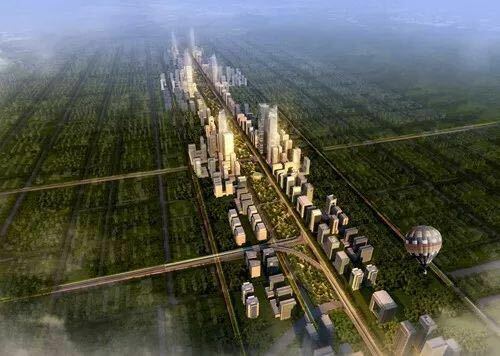 The purpose of this K2K event is to discuss an integrated approach for urban (re-)development projects with inclusion of Dutch and Chinese participants. 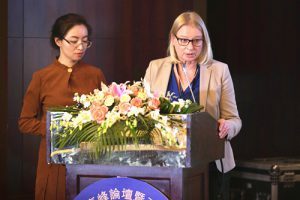 An exchange of and reflection on experiences from cases in both the Netherlands and China will feed into this approach that could ultimately result in action plans for urban re-development and possibly the establishing of future cooperation. 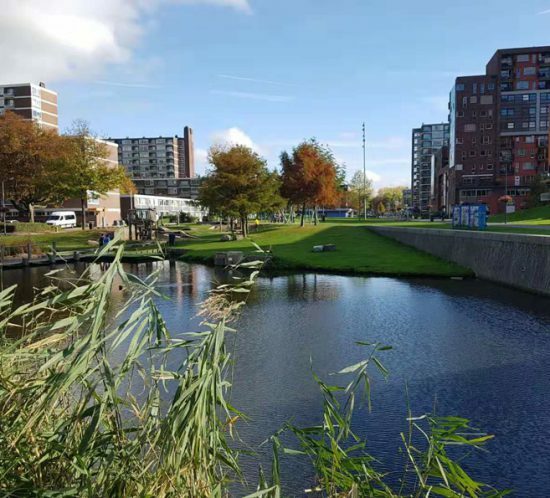 Our co-founder Marja Nevalainen will present the Dutch experience entitled “Tackling regeneration, success factors of comprehensive urban renewal in Delft” on 23rd November. 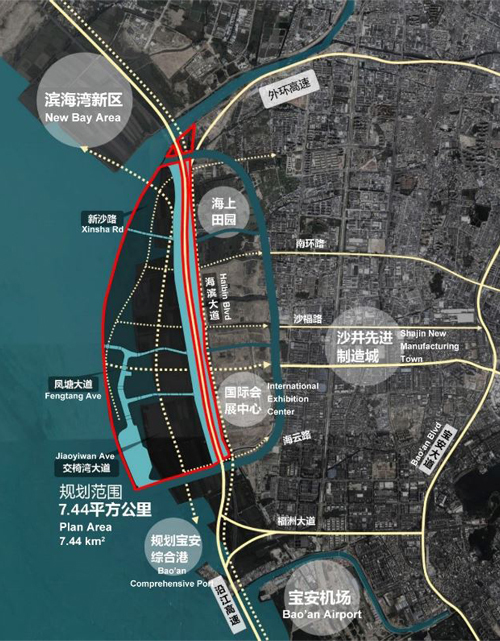 Our joint bidding with Deltares for Shenzhen New Marine City Urban Design Competition has been selected as one of the six candidates from around the world. 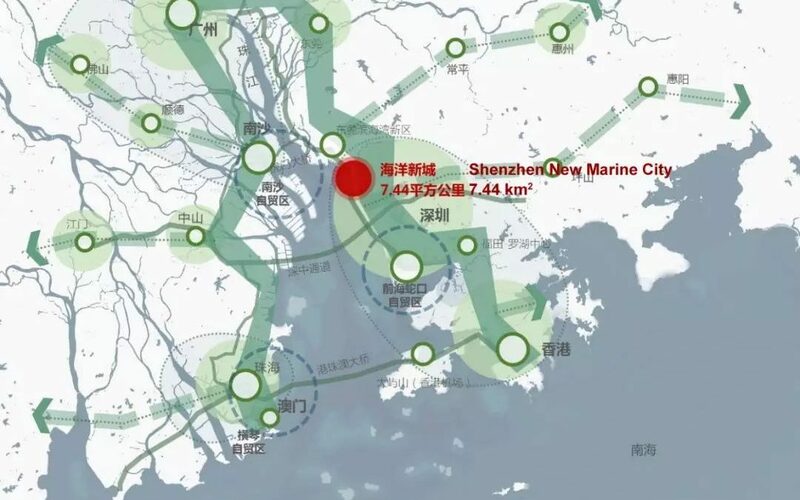 The project takes up an important position in the development of Shenzhen and the Guangdong-Hong Kong-Macao region, and in the national maritime strategies under the One Belt One Road initiative. 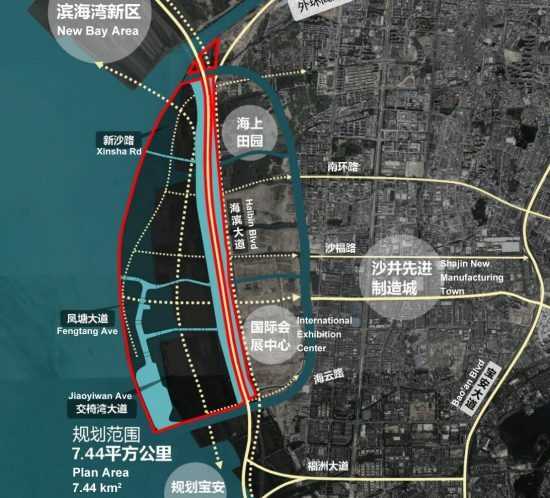 Together with Deltares, we apply our expertise in industry-driven growth, coastal safety, urban environment infrastructure and cultural identity to this new challenge. 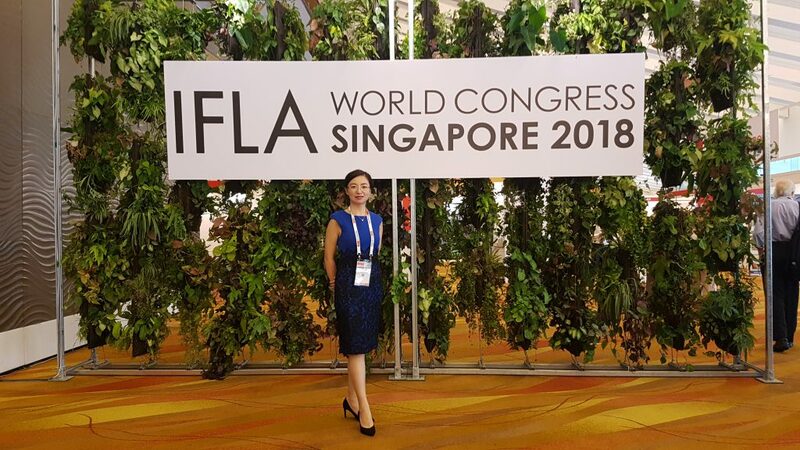 The International Federation of Landscape Architects (IFLA) Asia-Pacific Region has announced the results of its inaugural IFLA Africa, Asia Pacific and Middle East (AAPME) award. 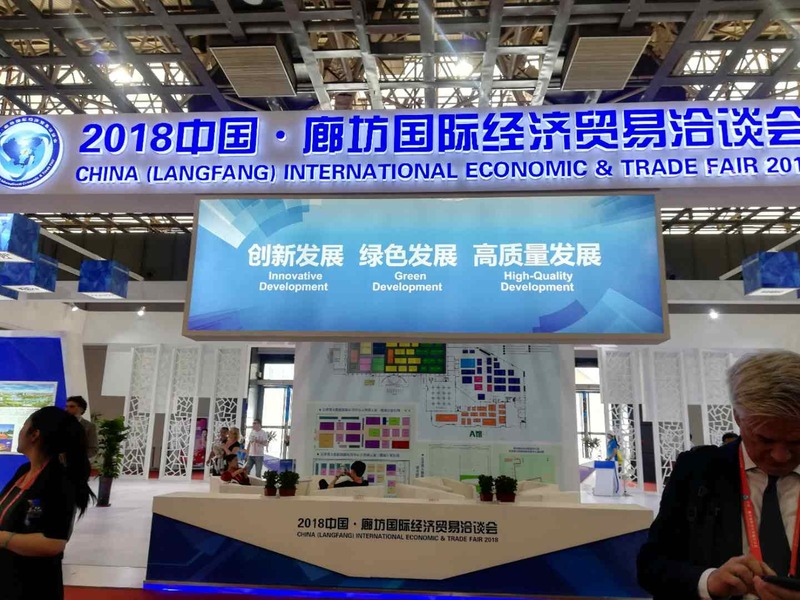 In 2018, 115 projects were recognized across a range of categories. 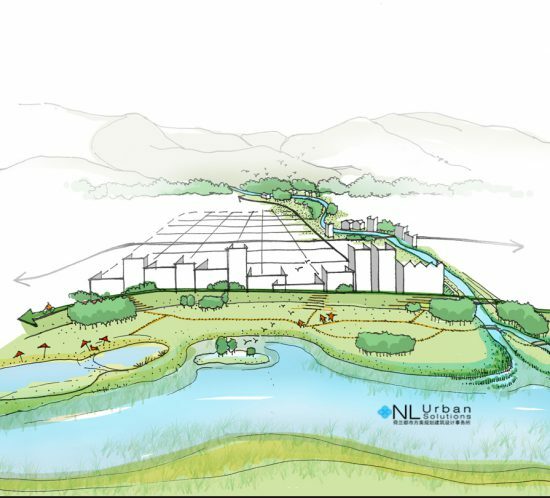 NL Urban solutions is delighted to have received an Honorable Mention in the Analysis and Planning category for our Ecological Landscape Concept Planning of Qinghai Haidong Huangshui River Basin project, which cooperated with Beijing Tsinghua Tongheng Urban Planning and Design Institute. 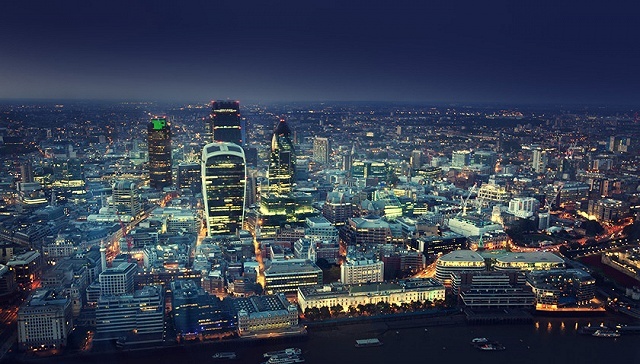 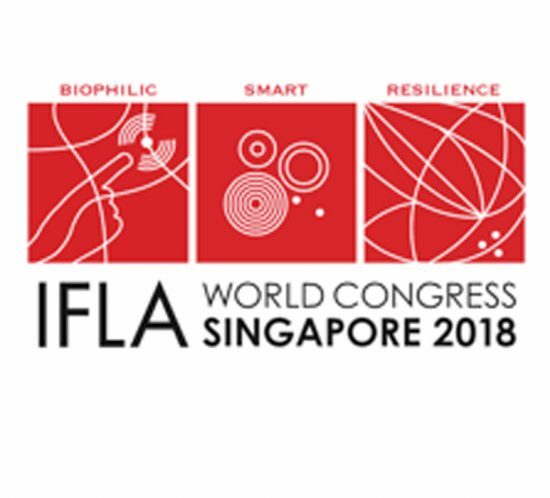 NL Urban Solutions will receive the award at the IFLA World Congress Award Gala in July. 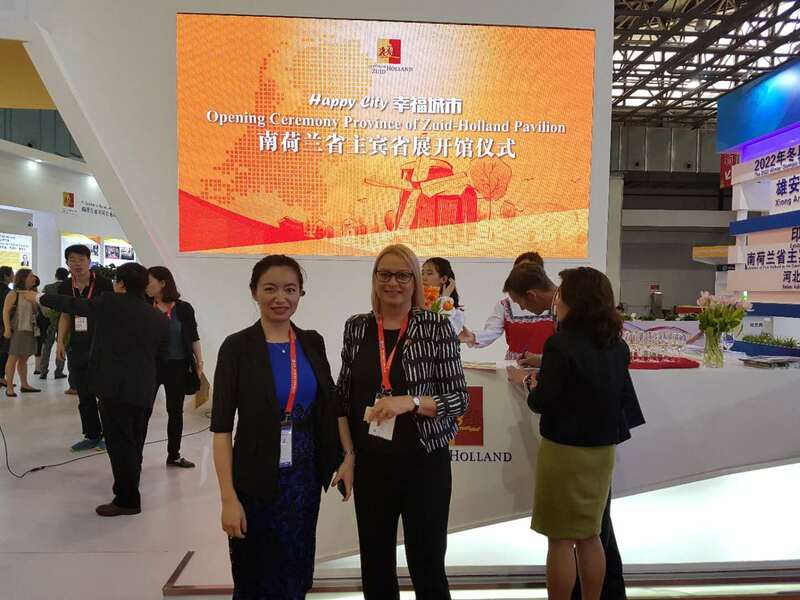 Two of our projects have won the recognition of this year’s Yuan Ye Award international committee. 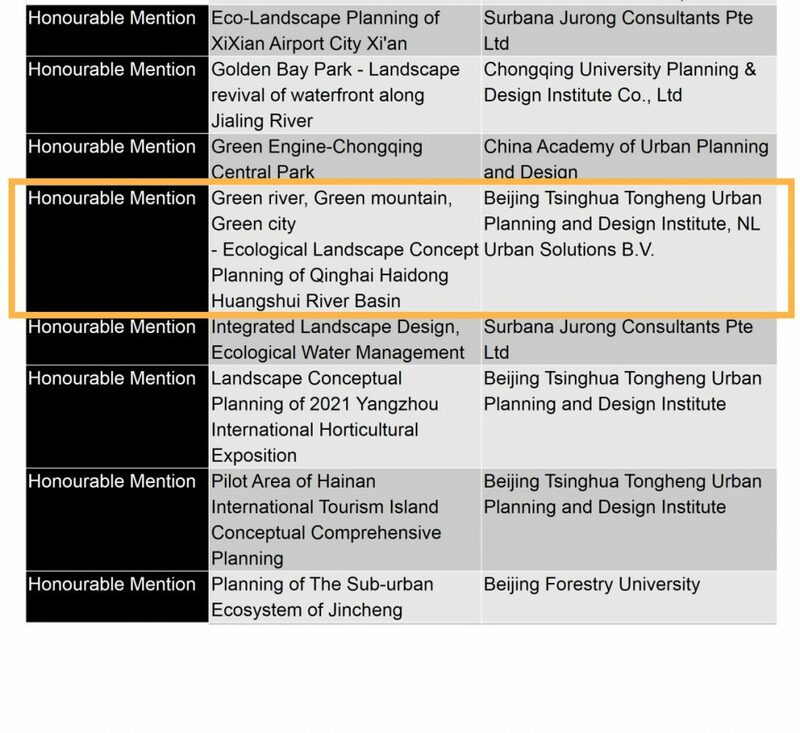 Hualong Yellow River Tourism Road (Slow Traffic) Planning is awarded the golden prize in the Urban Planning category. 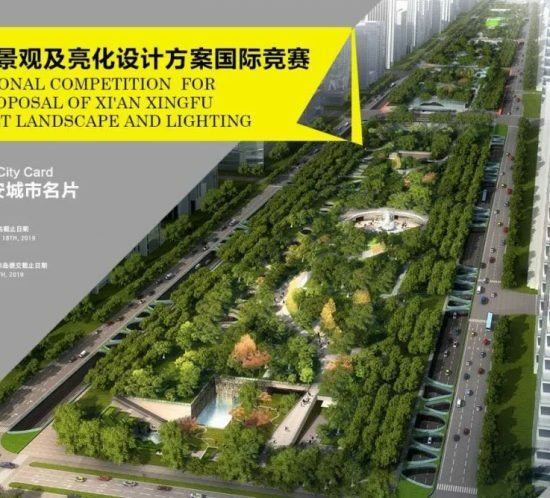 It tackles 38 km complex terrains for tourism infrastructure with a sense of cultural and landscape responsibility. 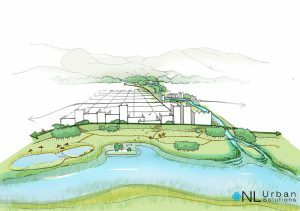 Haidong Huangshui River Basin Ecological Landscape Master Plan is awarded the silver prize in the same category. 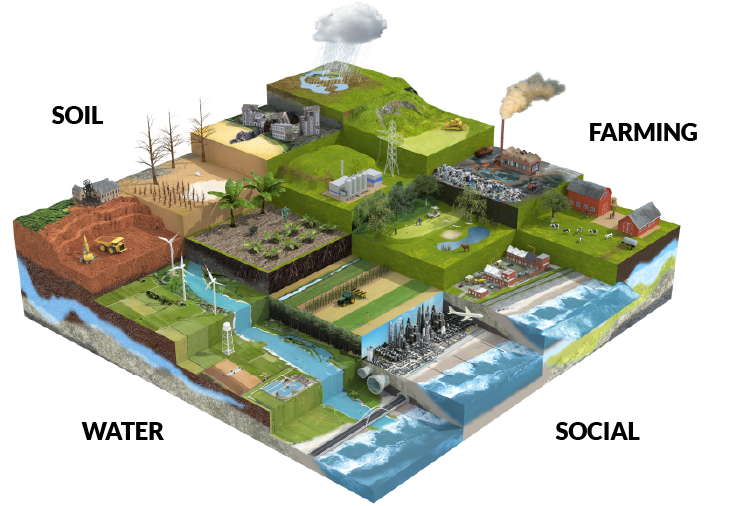 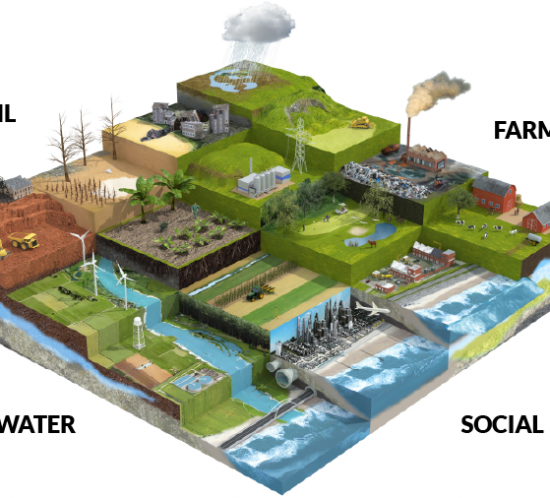 The project applies GIS tools to the study of the 80 km river basin, and plans a safe and sustainable space for regional growth in a landscape vulnerable to landslide, flooding and drought. 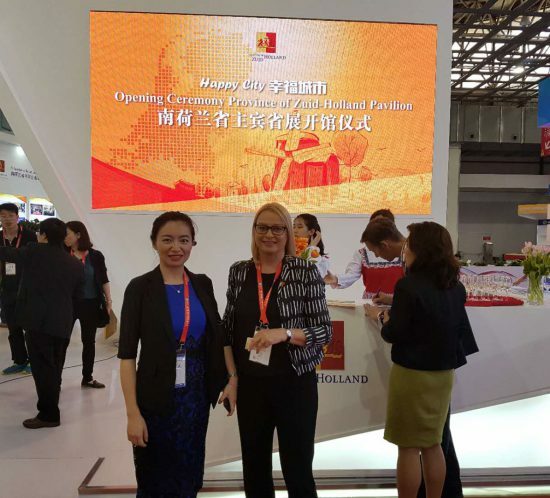 Our office directors Marja Nevalainen and Rong Hu were invited at the ensuing Yuan Ye Summit Forum and Asian Landscape Architecture Conference. 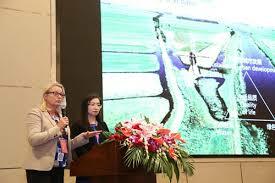 Marja also stood as presenter for speaking on water-responsive urban design and planning. 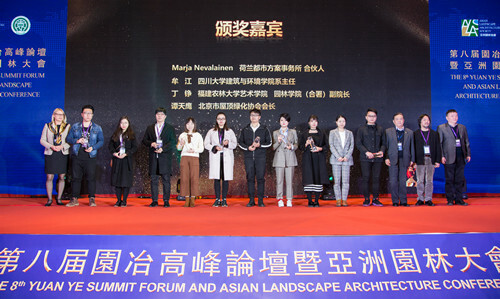 The two-day summit held in Beijing gathered together the world’s leading experts, government leaders and scholars, and local companies in landscape architecture, real-estate development and engineering, as well as representatives from education institutions.